Friesens Corporation was awarded a Benny, the highest honor in the 2018 Premier Print Awards, for our entry Portraits of the North, published by Les Editions des Plains. The Premier Print Awards, the graphic arts industry’s largest and most prestigious worldwide printing competition, recognizes outstanding achievement in print production. Friesens Corporation received our “Benny” for Art Books, 1 or 2 colour. Along with the “Benny”, Friesens Corporation received fifteen other awards, including four Awards of Recognition and ten Certificates of Merit. An amazing achievement! The Premier Print Awards are the printing industry’s oldest and largest worldwide graphic arts competition, hosted by Printing Industries of America. In its 69th year, the annual contest recognizes those responsible for the creation and production of superior print communications. The event promotes excellence in print communications and rewards companies and individuals who produce the very best in print media. 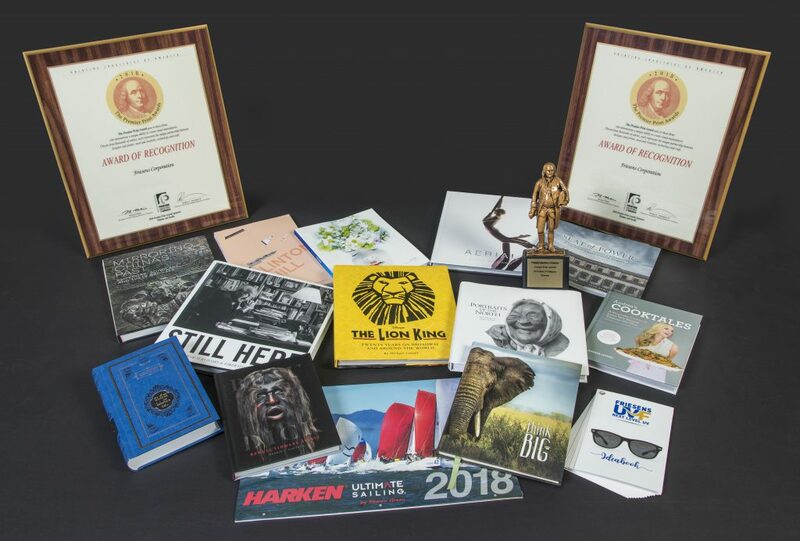 This year, more than 2,000 entries were received from printing and graphic arts firms from around the world, and judges awarded the Benny to the top entry in each category. “It’s an honor to be recognized by the industry as a company that produces award-winning books.” said Chad Friesen, CEO. Friesens Corporation will receive their Benny at The Premier Print Awards Gala, which honors all the companies that received this award. The 2018 Gala is scheduled for Sunday, September 30, 2018 in Chicago, IL.